The firm, which was handling Salesforce's corporate comms, has also been assigned responsibility for its U.S. product and solutions communications. 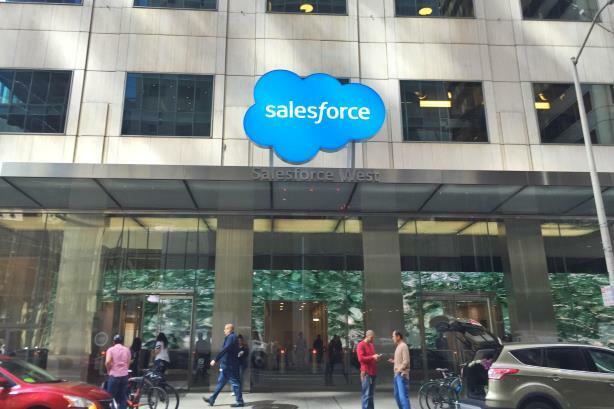 SAN FRANCISCO: Salesforce has selected Zeno Group to handle its U.S. product and solutions communications, making the firm its PR AOR in the U.S.
Salesforce received initial submissions and heard pitches "from a subset of those folks," said Salesforce EVP and chief communications officer Corey duBrowa, via email. "Last September, we also consolidated our corporate communications with Zeno Group," said duBrowa. "While both searches were conducted independently, we're excited about the opportunity to partner with Zeno to drive integrated communications campaigns that span the entirety of our business." The incumbent on the account, which also handled the brand’s corporate comms prior to Zeno, was Nectar Communications. DuBrowa said in January that Nectar was invited to participate in the review process for the corp comms account, but it was "time for them to move forward and take on new challenges." Zeno declined to comment on the account win. Salesforce also works with InkHouse on environment and sustainability comms and Joele Frank on strategic counsel. "[InkHouse and Joele Frank] both have small remits, which is why Zeno is U.S. AOR," said duBrowa. "Our countries and regions outside the U.S. work with a slate of different local and regional partners who are doing terrific work on behalf of Salesforce and we look forward to deepening those relationships." DuBrowa joined Salesforce as EVP and chief communications officer last July, reporting to chairman and CEO Marc Benioff, after an eight-year tenure at Starbucks. His most recent position at the coffee giant was SVP of global communications. Salesforce beat analyst expectations in the fourth quarter with $2.9 billion in revenue, up 24% compared with the prior year, according to CNBC. Salesforce has about 30,000 employees worldwide and is on track to reach $20 billion in annual revenue by its 2022 fiscal year, duBrowa said.